Mario Kart 8 Deluxe is Nintendo’s first UK No.1 in over five years. Mario Kart 8 Deluxe launched last week on the Switch to glowing reviews. The positive reception was reflected in the UK charts, as the title debuted at the top and is the first UK No.1 for the Switch. It’s also the first boxed Nintendo game to reach No.1 since 2011’s Pokémon White, according to GamesIndustry.biz. 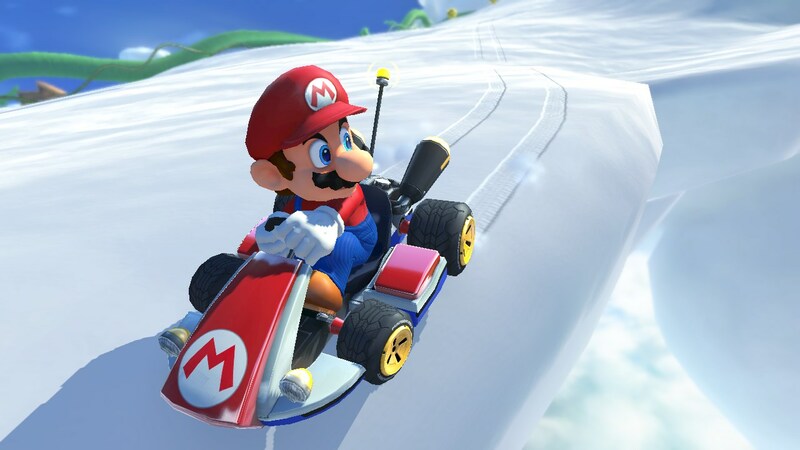 The last time a Mario title was at the top of the charts was in back in 2008, with Mario Kart on the Wii. Nintendo released more Switch units for the launch of Mario Kart 8 Deluxe which may be why The Legend of Zelda: Breath of the Wild’s sales are up 68% week-on-week, jumping from No.10 last week to No.5 this week. Sniper: Ghost Warrior 3, Little Nightmares, and Outlast 2 were the week’s other new releases. The first two cracked the top 5, while Outlast 2 settled in at No.14. GTA 5 is still a top 5 regular for now. Last week’s No.1, Ghost Recon: Wildlands, has plummeted down to No.7, and Infinite Warfare, FIFA 17, and Horizon Zero Dawn round out the top 10 at the bottom of the chart. You can check out the full list of this week’s top 10 titles below.